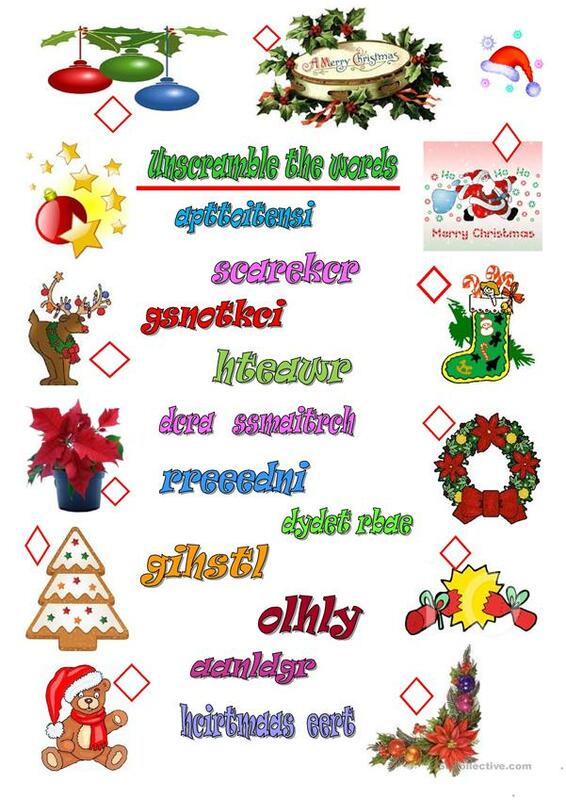 Sts unscramble the letters to identify the popular Christmas things. Ana. This downloadable printable is recommended for elementary school students at Elementary (A1) level. It can be used for strengthening your learners' Writing skills.